There aren’t many airline loyalty programs that I have almost zero interest in, but Alitalia’s MilleMiglia program is one of them. A few years back Tiffany wrote a post about the circumstances under which it can make sense to use Alitalia’s program. As she noted, the best use of Alitalia miles was for flights on Alitalia metal. A while back the airline devalued their SkyTeam award chart, and now they’re devaluing their award chart for flights on Alitalia. 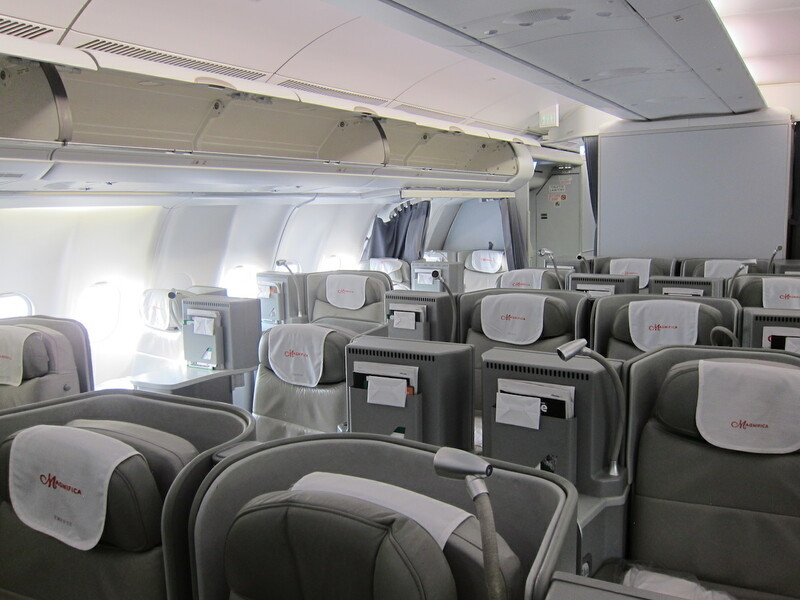 As of January 1, 2019, Alitalia will be introducing a new award chart for travel on Alitalia. Note that all the prices on the new chart are one-way. That’s significant because it used to be that Alitalia offered some discounts when booking roundtrip (for example, booking one-way between the US and Italy cost 48,000 miles, while a roundtrip cost 80,000 miles), but that’s no longer the case. When you compare the amounts, this is a pretty substantial devaluation. Speaking of awards between the US and Italy, they’re increasing in cost from 80,000 miles roundtrip to 140,000 miles roundtrip — that’s an increase of 75%! Keep in mind that Alitalia also passes on carrier imposed surcharges on award tickets, unlike some other programs. So while I didn’t mind paying them if the cost was 80,000 miles roundtrip in business class, at 140,000 miles I’m much less willing to pay them. Alitalia is devaluing their award chart as of January 1, 2019, and this time it impacts travel on their own flights (which was really the only good use of Alitalia miles anyway). While short-haul travel for the most part isn’t impacted too negatively (the cost of domestic awards has even gone down marginally), the longhaul price increases are brutal in some cases. This isn’t a program I found very useful before, but it’s one I’ll find even less useful come January. I feel sorry for Italian tax payers, going on subsidizing this company just in order to be real patriots. Gladly I burned all the miles (I had an Itaian Amex) and even more gladly, I will not have to fly their crap business class with arrogant attitude ever again! P.S. compare the balance sheets of Air Berlin and Alitalia. Alitalia should be 10 times grounded. What are your top programs per alliance? Let say top programs for status and top programs in terms of earn/burn? Thanks. Obviously it depends on more than only status or earn/burn, but I was curious if there would be a kind of very generic ranking in terms of best/worst in each alliance. Clearly the Alitalia thing looks bad eg. Is Alitalia still around? I thought they died again and again. Trying to find Biz class to Rome from the US is a joke ! Maybe one seat here and there . This does not seem to be a devaluation. Yes, it looks bad for US flights in Business Class, but most one-way flights have become cheaper. To me it looks like a simplification of the fares and maybe adjustment for relative cost of long haul? In my opinion the Alitalia program has always been a scam. They did a promotion with a transfer bonus from AMEX and simultaneously had a 40,000 miles transatlantic Business deal. Reality hit later when the miles could never be redeemed. Prior to 2018 they demanded all members fly multiple flights or use up their miles, alternatively lose all miles. Suddenly transatlantic flights required one million miles to redeem. While the number of miles started to resemble phone numbers and it seemed like a fluke it wasn’t. I will admit that all this was permitted in accordance with their rules it was set up as a scam because they manipulated award prices into the millions. By the way, their associated fees for fuel and taxes did not seem that high. Good riddens to AZ and their scams. Donato, only domestic and some European destinations have become cheaper on OW basis, but since there is no RT discount, no routes are cheaper on RT basis, while some have gone up in price. Sorry, my comment was meant for Rob. AZ actually does NOT charge full fuel on their own metal. The $1217 is not accurate at all. They charge between 300 to 400 EUR on a RT out of the US depending on the route. Think of the new chart as Alitalia’s first offer. I’m guessing that you will see very heavy discounts from it, especially after the first few months. Transferred some AMEX points to Alitalia, hoping to work toward that business class trip to Milan. How naive! DEAD after they wiped out unused balances in the last trick they pulled. Will never book or fly them. No trust. A shame. Hear the food is good. At least they gave a two months pre advice despite unbelievable behavior held from Qatar Airways that devaluates routes of almost 100% more with no any day of pre advice!!! and I’m sure such kind of behavior no pay since Qatar Airways lost face, imagine but also a lot of customers above all loyalers. Lets not just blame Qatar. Alitalia is giving some notice. The worst overnight devaluation in the history of this hobby (perhaps I exaggerate) was the overnight EK devaluation (doubling of prices) with Alaska. I had purchased the miles for two return F class tickets SEA-DXB-JNB and was waiting for the 365 day window to open. 1 week before the first day available they instantly without notice DOUBLED the number of miles for F and J. Needless to say it was time to move on (EK is ok in 380/300ER J but not in 200 series). It took quite a while to burn off all the miles I had purchased for this particular flight. @Chub. I’m surprised you rate United MileagePlan so lowly in *A. More expensive than Avianca for sure, but has better premium availability, better search engine, better call centre, and less draconian fees for changing/cancelling flights. Once the best non-alliance scheme, Alaska has been gradually hollowed-out, with premium seats scraps (ie Qantas) thrown its way, losing valuable partners, a sea of ‘Mixed Cabin’ symbols alerting the savvy to the fact that a Y&J award flight is in fact 95% Y and 5% J, but 100% J redemption cost, and other such chicanery. Their sometimes partner, Qantas, would be proud to have been mentors! I looked at united and avianca. In terms of earn/burn not bad, probably the best. However impossible to get status as I dont fly either of them. While status is no primary objective, if things are largely equal it is a nice +. So it might need to be SQ for *A unless AC is better. Need to have a look at it. If you are flying Business or First status is irrelevant. You get all the perks without being on the annual hamster wheel, and not be tethered to any airline in particular. Works for me. Not sure about other programs, but with Aeroplan, status makes a big difference on the number of award seats available for fixed mileage redemption on AC (especially at super elite), and the taxes you pay on AC metal. Yes and no. Agree that things as lounge and separate check in come with FC/BC anyway. But there are some benefits coming with status as accelerated accrual and better availability of award seats. Although I agree this is relatively minor. In general I see airlines appreciate loyalty less and less, therefore one might as well maximize on whatever scheme by flying any airline that comes with a decent price for a decent service. I’ve been looking at biz class bookings MIA-MIL (either DXP or LIN) and what I’m seeing can’t be right. The flights appear to cost 2.5M+ miles r/t. How can that possibly be right?? ?